Schrager mock draft 1.0: Murray to Cardinals! Five QBs in Round 1! Published: Dec. 31, 2017 at 06:40 p.m.
Buffalo Bills defensive tackle rushes 1 yard into the end zone for a touchdown. Published: Nov. 12, 2017 at 01:48 p.m. Published: Dec. 7, 2014 at 04:55 p.m.
Denver Broncos quarterback Peyton Manning is intercepted for the first time in 80 pass attempts by Buffalo Bills cornerback Corey Graham. 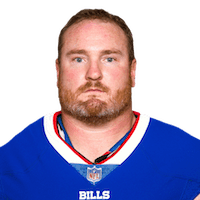 Published: Sept. 7, 2014 at 10:07 p.m.
Buffalo Bills defensive tackle Kyle Williams intercepts Chicago Bears quarterback Jay Cutler.